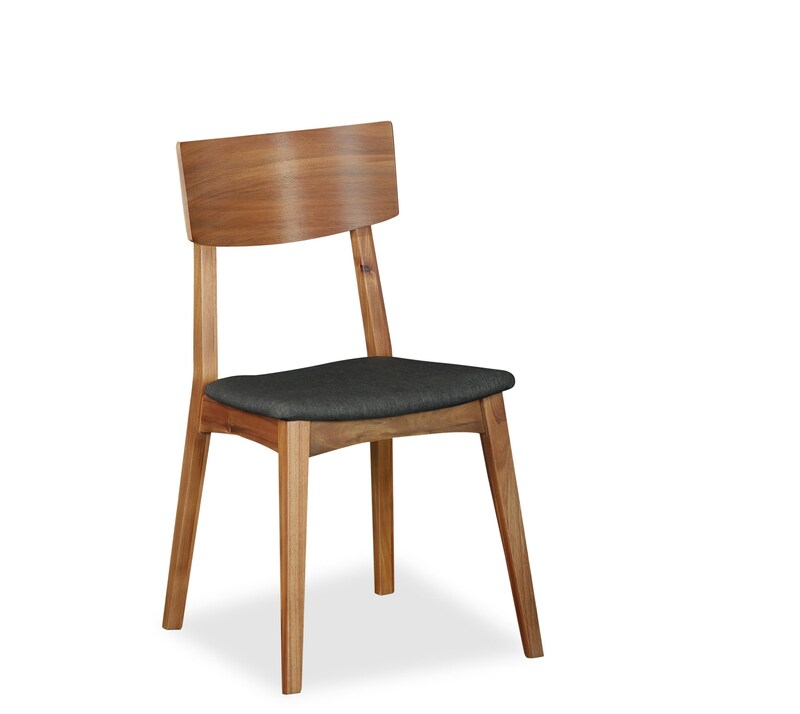 With splayed legs and a natural wood finish, this side chair exudes mid-century modern style. The silhouette is simple and sophisticated, enhanced by the upholstered seat. A versatile design, the chair is perfectly suited for a formal dining room or eat-in kitchen. Table and other items sold separately. The Berkeley Dining Side Chair by Global Home at HomeWorld Furniture in the Hawaii, Oahu, Hilo, Kona, Maui area. Product availability may vary. Contact us for the most current availability on this product.